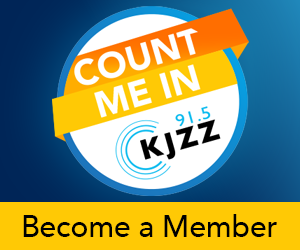 A pilot program will make campaigning for state office easier in Arizona. 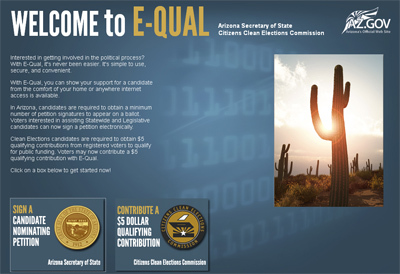 The Secretary of State’s office announced the E-Qual system, which allows voters to sign candidate petitions online and donate $5 for candidates seeking Clean Elections funding. From Phoenix, KJZZ’s Paul Atkinson reports. To get on the ballot, candidates and their campaigns collect signatures by going door-to-door, standing outside libraries or attending events. The E-Qual system will allow candidates for the legislature and statewide offices to get half of the signatures online. It also allows candidates to raise up to half of their $5 contributions to qualify for Clean Elections campaign funding. The new E-Qual system will also benefit voters. Leff says her only concern with the new E-Qual system is the exclusion of older voters who aren’t computer savvy. The online system requires a drivers license number and date of birth to verify identity.